Some people genuinely dig a busy aesthetic. They like extra buttons, markings, numbers, exposed screws, added angles, lines, etc. 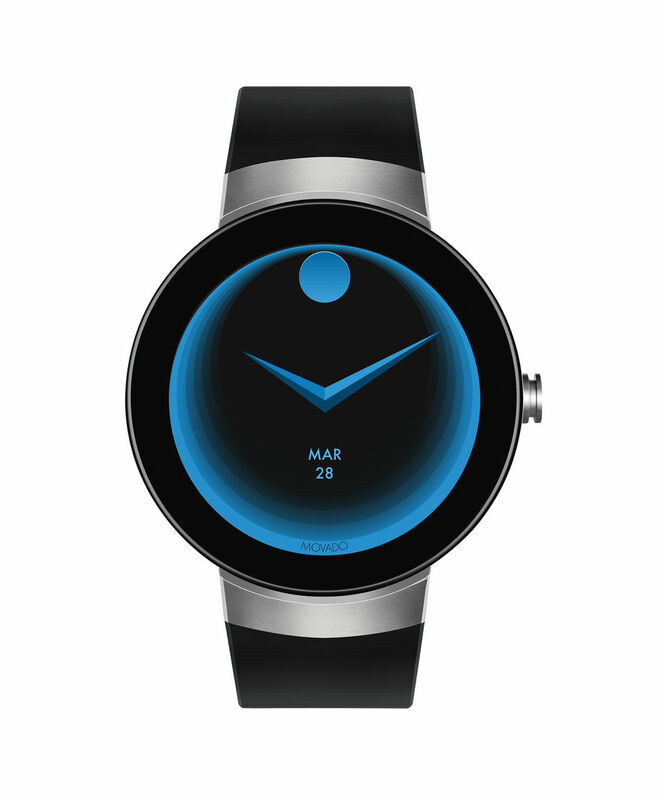 If you are precisely not that kind of person, then Movado's latest Android Wear device is probably to your liking. The Movado Connect is one of the most minimal wearables in recent memory, and right now you can even buy one starting at $595. 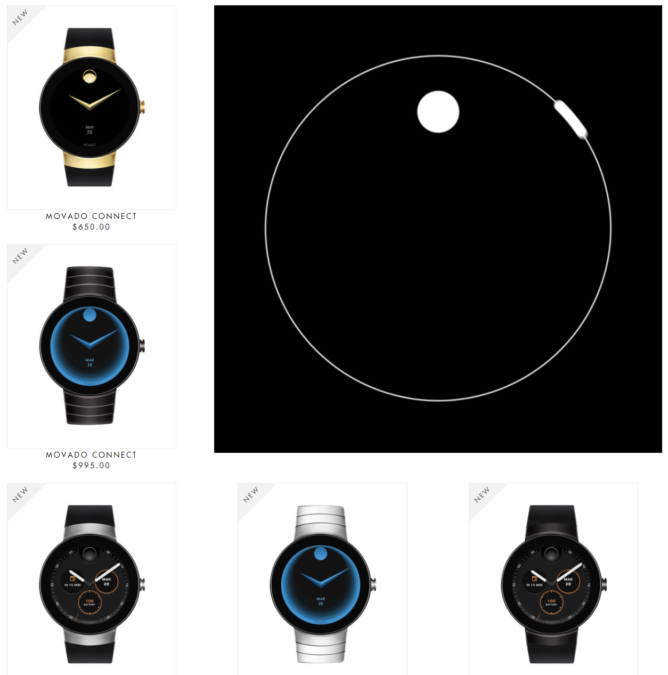 You might remember the Movado Connect from earlier this year. We expected it to be released some time in the fall, but it seems to have come early. We're not quite sure when Movado put it up for sale, as there haven't been any press releases or announcements mentioning the new Android Wear device in a while, though @movado has generally been tweeting about it for weeks. Specs include a 400x400 AMOLED screen at 1.39", a Snapdragon 2100, 512MB RAM, 4GB storage, Bluetooth BLE 4.1, WiFi, and a 300mAh battery. Movado expects the watch to last you about a day, and to take 2 hours to charge. Sensors include an accelerometer, gyroscope, mic, ambient light sensor, and NFC for Android Pay. 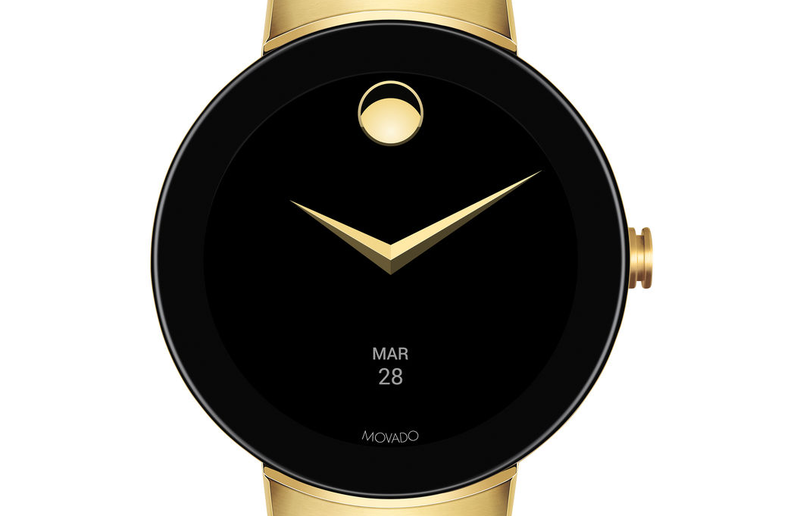 Much like the Movado aesthetic, the Movado Connect has been trimmed down. No GPS or heart rate sensors here. Movado originally stated there would be five models available starting at $495. And while the former has held true, the price has not. The least expensive model is $100 more, at $595, and the price goes up to $995. They're all made from stainless steel, with both plain silver and "ion coated" gold and black variants. 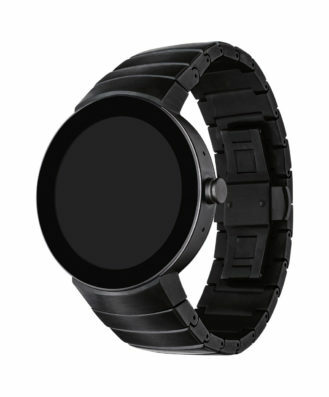 Strap options are a stainless steel bracelet with a deployment clasp or a black silicone strap. Unfortunately, there aren't any leather options, and $595 for a rubber strap is a bit meh. If you are interested in seeing the complete lineup, it's available here. 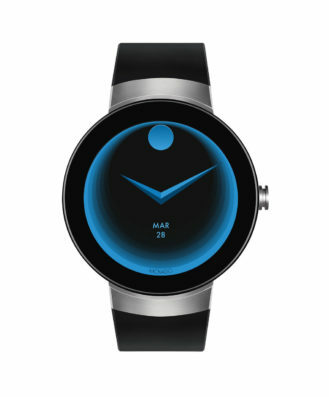 At least for the time being, the Movado Connect is a movado.com exclusive.